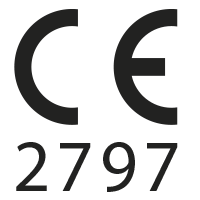 Android: compatible with Android versions 5.0 to 7.0. 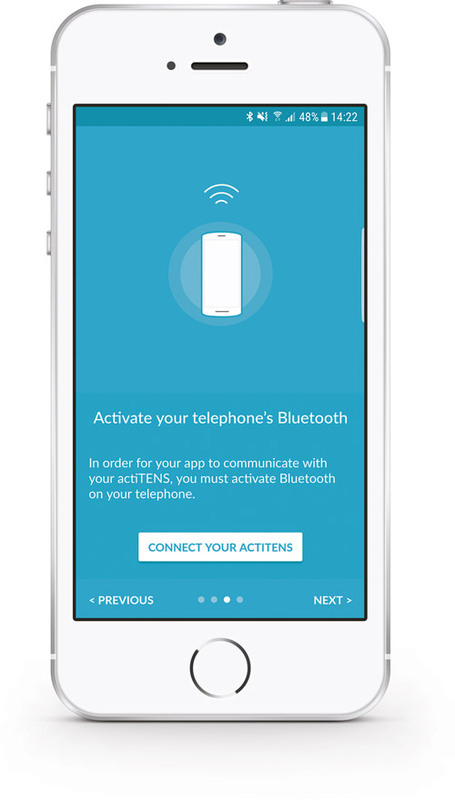 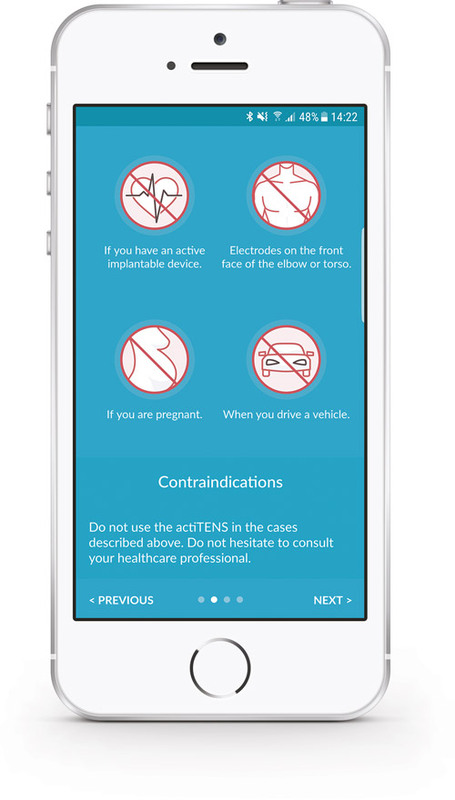 Despite the care taken in the development of our device, in some rare cases, certain telephones able to download the app are unable to start the actiTENS app. 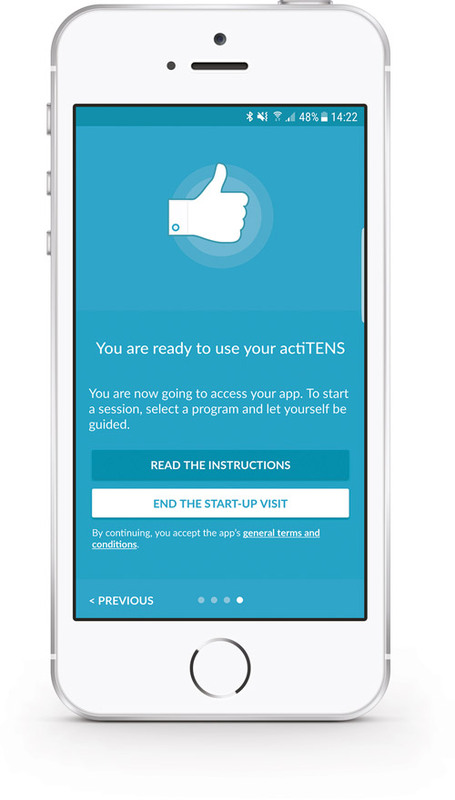 The start-up visit will be seen once only when the actiTENS app is started for the first time. 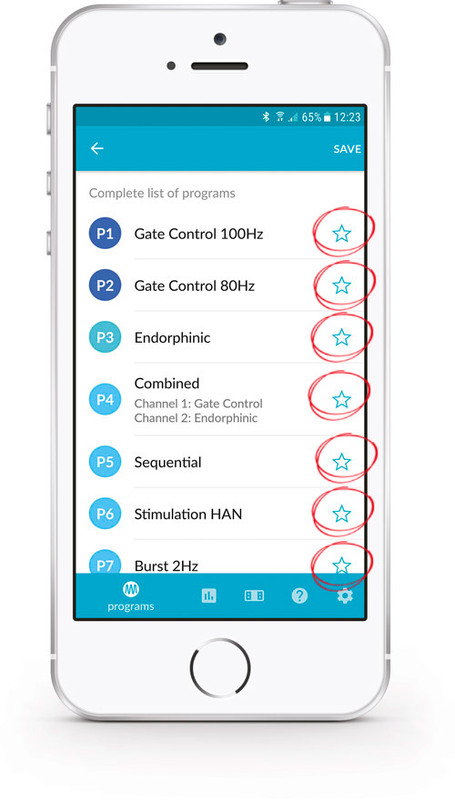 If you want to watch it again, go to the ”help” menu. 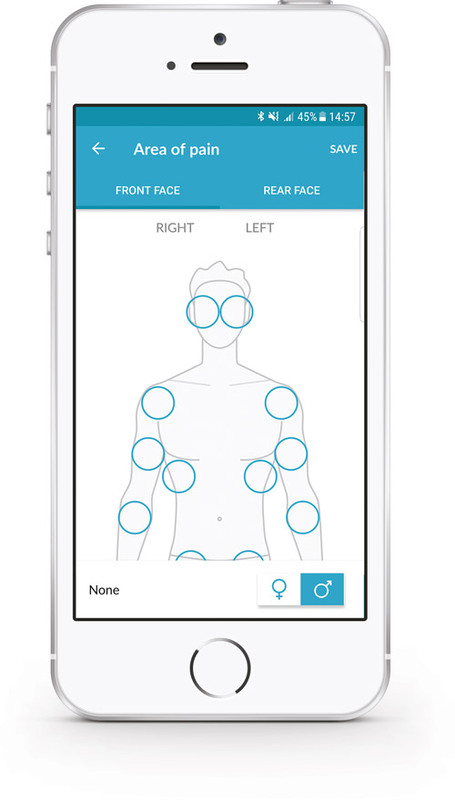 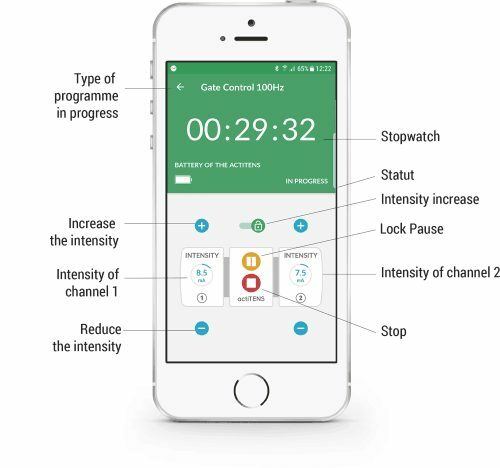 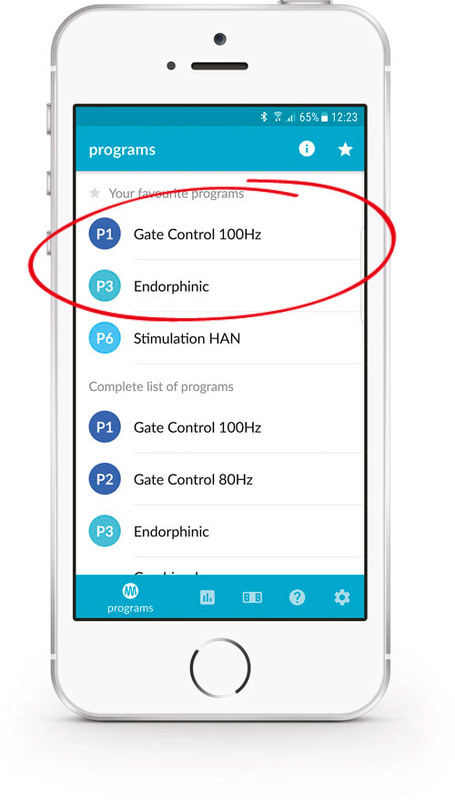 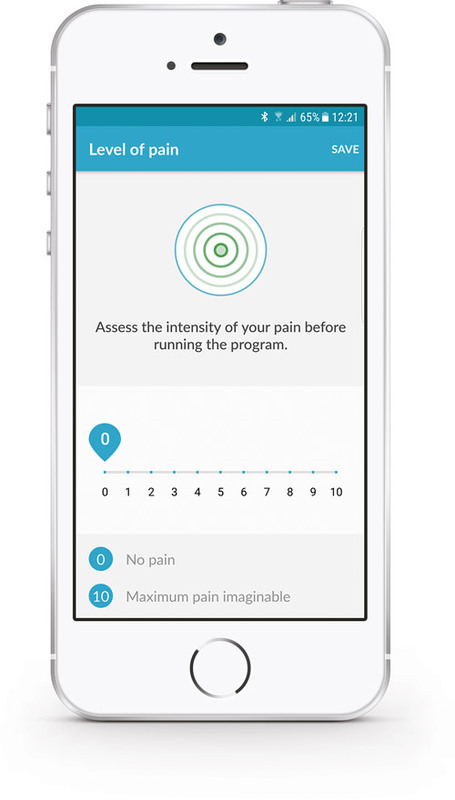 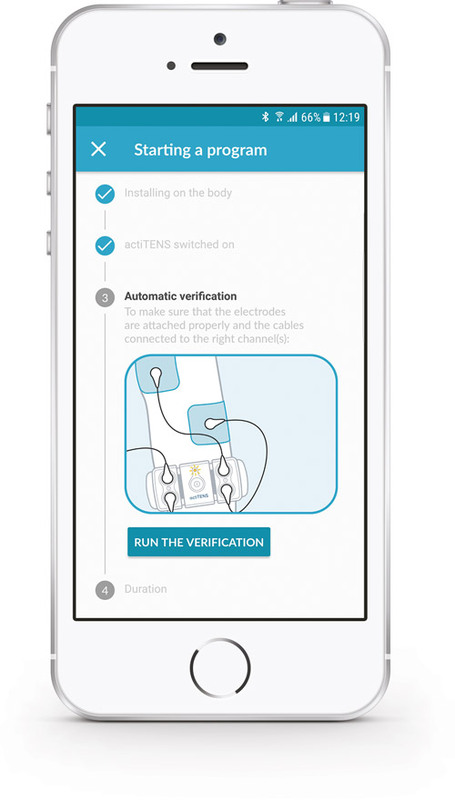 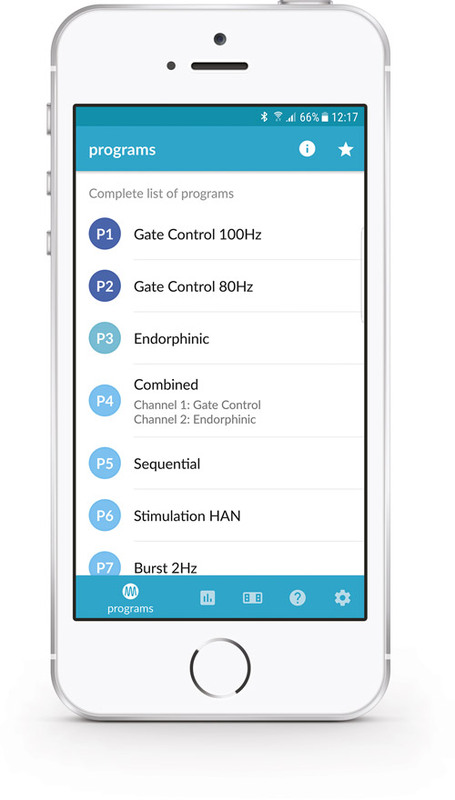 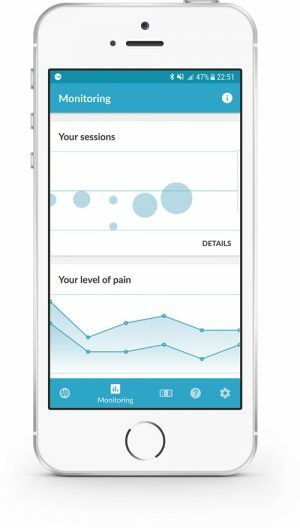 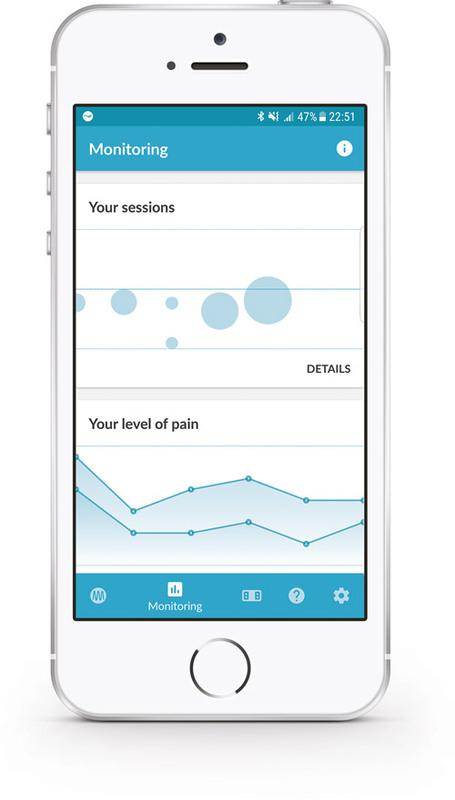 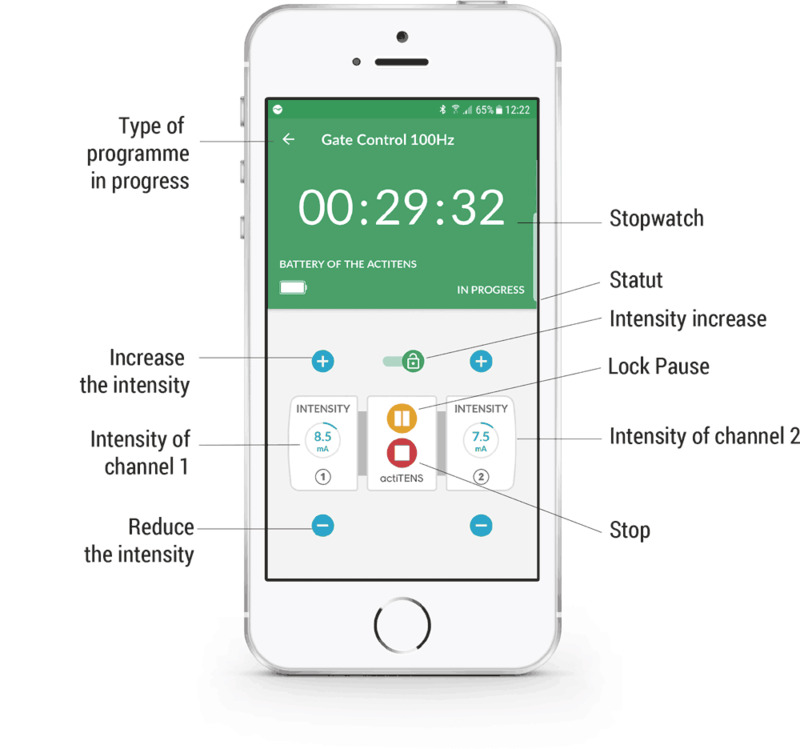 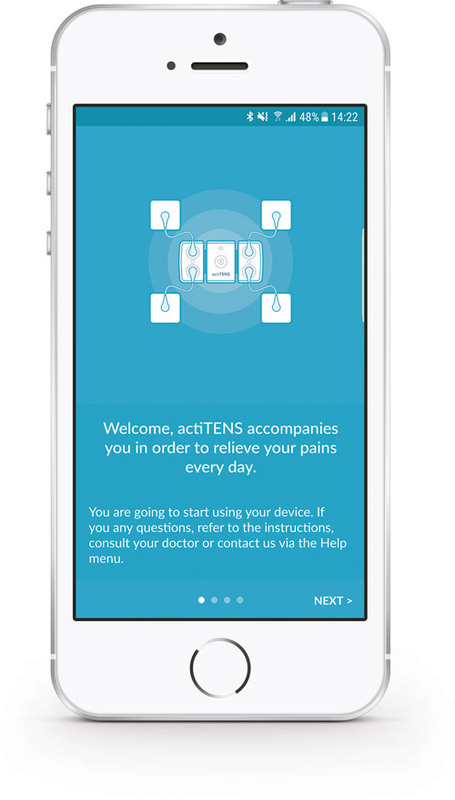 Our medical device offers you complete autonomy in the management of your treatment thanks to its app that connects your smartphone and actiTENS. 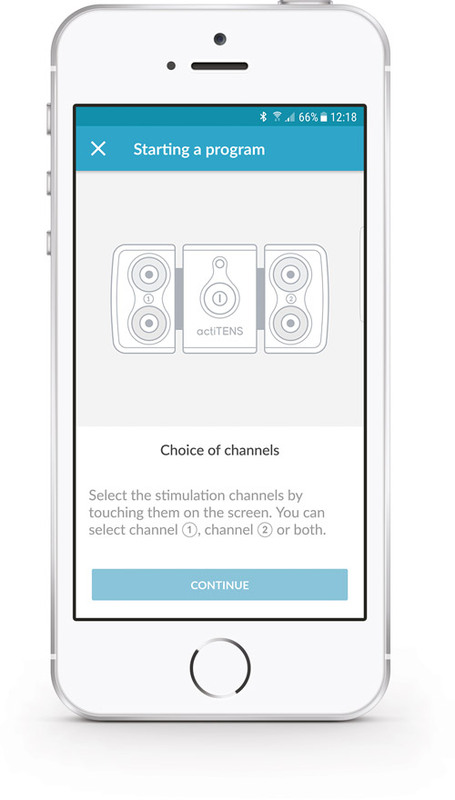 Go to “settings” and activate “favourites only"